It’s easy to get so wrapped up in your own website or development work that you forget about the wider world of WordPress. As a community-maintained and supported platform, WordPress relies on collaboration between the many people who use it. There’s no better way to see this in action for yourself than to attend a WordCamp. WordCamps are offline events lasting one or more days, which bring WordPress users of all types together. They offer presentations, social gatherings, hands-on workshops, and much more. 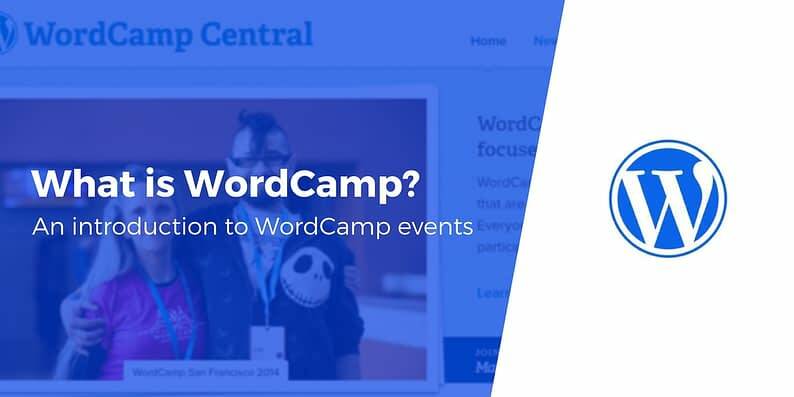 A WordCamp is the perfect way to learn more about the platform, make connections, and find new opportunities. In this post, we’ll go into more detail about what WordCamps are, what they’re like, and how to prepare for your first one! 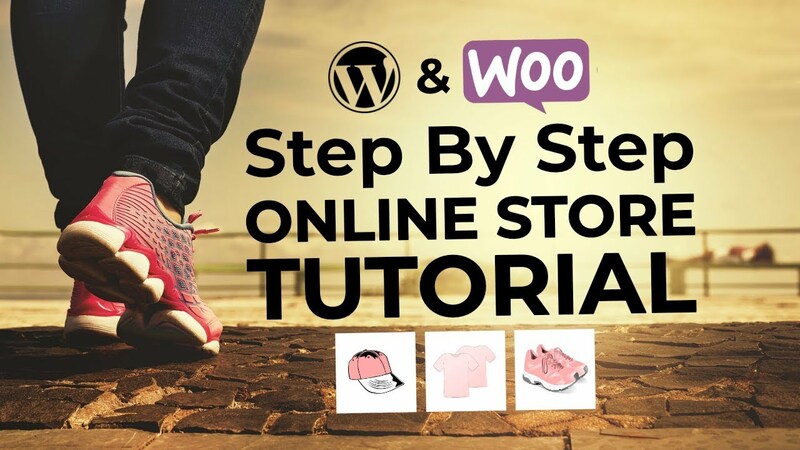 If you want to learn about WordPress, there are a lot of ways to do so. You can check out the official Codex, take a dedicated course, and read blogs like ours – just as a starting point. These are all excellent options, but what if you’re looking for something a little more social and hands-on? The answer is simple: you can head out to one of the many upcoming WordCamps. These are community-organized events held all around the world. For a weekend or so (the length depends on the specific event), you can spend time with hundreds or even thousands of other WordPress users, completely immersed in the platform and culture. If you’ve never attended a WordCamp, there’s no better time to start than right now. However, before signing up you may want to know a little about what to expect and how to prepare. There are a lot of WordCamps – in fact, more are popping up all the time. Each one is a little different, depending on its location, organizers, budget, and attendee rate. There are large, elaborate events like WordCamp US and WordCamp Europe, as well as smaller, more modest gatherings. However, most WordCamps do have some things in common. In general, a WordCamp will last from one to three days. You’ll have to purchase a ticket, although the rates are kept as reasonable as possible (the ticket prices are capped at a maximum of $25 per day). Presentations and talks. This is a large part of most WordCamps. Speakers will be brought in to discuss a wide range of topics, from technical developer-level issues to more general educational subjects. There’s a lot you can learn from these presentations, no matter what your expertise level is. 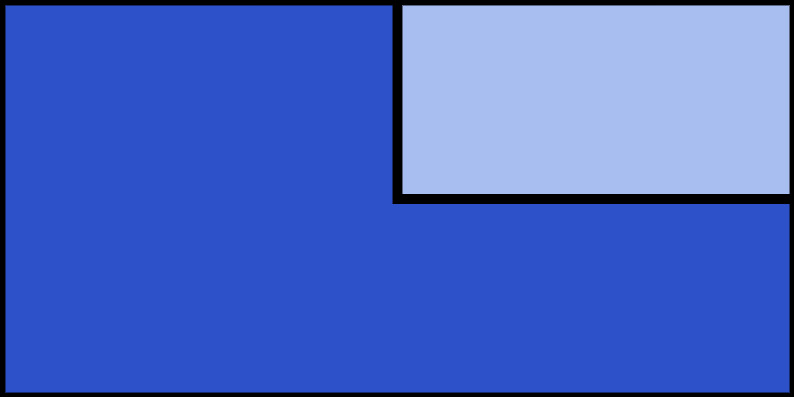 Workshops. If you prefer a hands-on approach, there’s plenty of that on offer too. You’ll have the chance to attend practical workshops, which will again range from complex development practices to beginner-friendly tutorials. Networking and social events. Since WordCamps bring so many people together in one location, they’re the perfect opportunity to meet new friends and do some networking. You can find potential clients, collaborators, employers, and more – either through structured events or simply by hanging out and chatting. The most important thing to understand about WordCamps is that they’re open to everyone. There are events and opportunities available for complete beginners and seasoned developers alike. So you don’t need to worry about getting in over your head. You can attend whatever presentations and workshops most interest you, and work your way up to the more advanced topics over time. 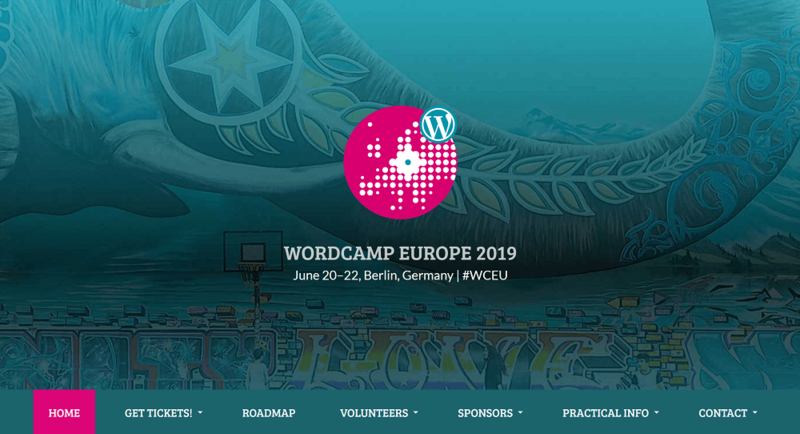 For instance, you’ll see that the upcoming WordCamp Europe 2019 will be held from June 20-22. By visiting the event website, you’ll see it’s happening in Berlin, Germany. 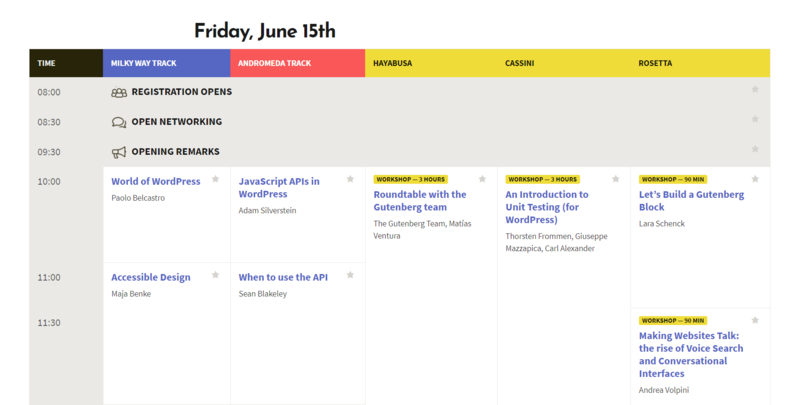 And as the event gets closer, the team will add a detailed schedule for you to peruse. By selecting the pencil icon next to the text Attend an upcoming event near you, you can tell this widget where you’re located. 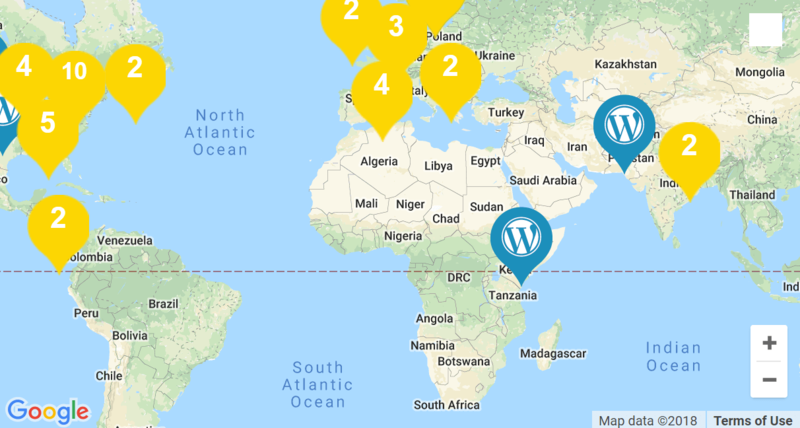 Thereafter, it will keep you updated on WordCamps and other significant WordPress events happening nearby. Attending a WordCamp is a pretty simple matter. You buy a ticket, show up, and participate in whatever you’d like. However, you can get more mileage out of your first WordCamp if you do a little preparation ahead of time. Check out the schedule as soon as it’s available. This enables you to plan out what events you’d like to attend. You can still be flexible during the WordCamp itself, of course, but this way you won’t miss anything you’re interested in. Bring along a few essentials. This should include your laptop and whatever other devices you might need. Paper and pens will also come in handy for taking notes during presentations. Finally, if you’re a freelancer or business owner, don’t forget a generous stack of business cards for the networking events. Reach out to your existing contacts. If you work with other WordPress developers, website owners, or businesses, you may want to reach out and see if they’ll be attending the WordCamp as well. This is particularly pertinent if you know they’re located nearby. WordCamps are a great chance to meet up with people you’ve only ever communicated with online. It’s worth noting that once you have a WordCamp or two under your belt, you may want to get more involved. These are volunteer-organized and run events, after all. If you’re interested in helping out, you can check out each WordCamp’s individual site, or the community/outreach section of the Make WordPress website. If you want to learn more about WordPress or get involved in its community, attending a WordCamp is a great idea. These events are the perfect place for educational experiences, making new connections, and getting some practical advice. Fortunately, there are a lot of WordCamps happening every year, from big events like WordCamp Europe to smaller local affairs. You can find information about each one on the dedicated website, and even get notifications in your WordPress dashboard. If you bring along a few basic supplies and an open mind, you’re sure to get a lot out of the experience. Are you thinking of attending a WordCamp event? Share your thoughts and questions with us in the comments section below!